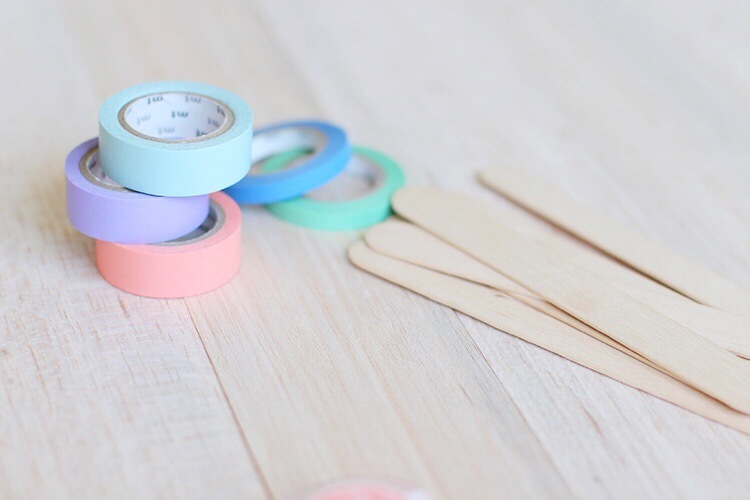 A set of three super slim washi tapes, perfect for adding cute embellishments to cards and envelopes. These MT tapes when stacked together make up the width of about a standard washi tape, which gives you some idea of how slim they are. Their skinny size means that they're ideal for outlining cards and adding colourful accents to notebooks and journals. Each roll of MT tape features a different design, so you can create a positive riot of colour with these pretty tapes. The patterns are similar, all being a scrapbook style mix of dots and metallic gold stripes on neon blue, green, pink and orange backgrounds. If you love bright eye-catching colours, these are the tapes for you! Beautiful product, competitive prices, reasonable delivery cost arrived quickly! Impressed. The tapes came within 24 hours and the colours are fantastic. If you have new stock or a sale, please let me know. Love the tape patterns! Lightening fast delivery.